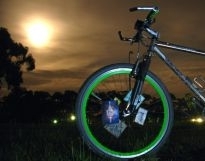 March Full Moon Ride Diamond Creek Trail and Platypus Spotting at Finn Reserve. This ride was previously scheduled but had to be cancelled due to illness. Depart Flinders Street Station 6:23pm platform 1. Thia is the Platypus viewing spot and kid friendly Wombat Bend Playground. This is an option for non-bike riding people to join us at a kid friendly play spot and nature area.